Yes, there has been a lot of controversy over this movie for some really dumb reasons. Okay, moving on. I was never really that interested in seeing this rebirth of one of the more iconic movies to come out of my childhood but for no other reason than it just didn't look very good. For me, the biggest surprise about this film is the writing which is very smart and freaking hilarious, for most of the time anyway. 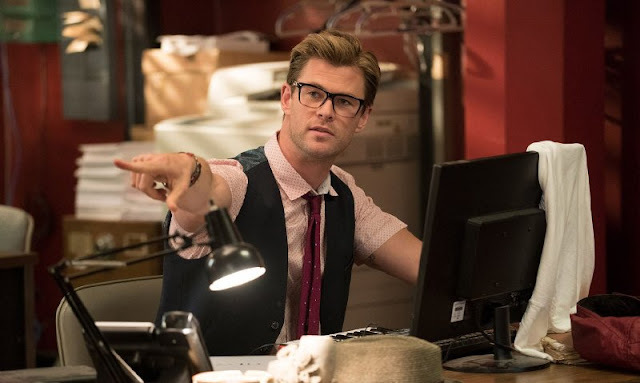 It does lean on classic stereotypes a bit too much and the gender reversal shtick only plays well for a while although, I have to say Chris Hemsworth pretty much steals the show with a hilarious performance that was quite unexpected. Whoever wrote his part deserves mad props for some of the gags and dialog he gets to deliver. On another note, this is one of the select few times I have enjoyed watching Melissa McCarthy in a film, I'm guessing because she is part of an ensemble rather than trying to carry a picture on her own. One of the places this film falls short is in how it will inevitably be compared to the original and to that end, it is just so so. 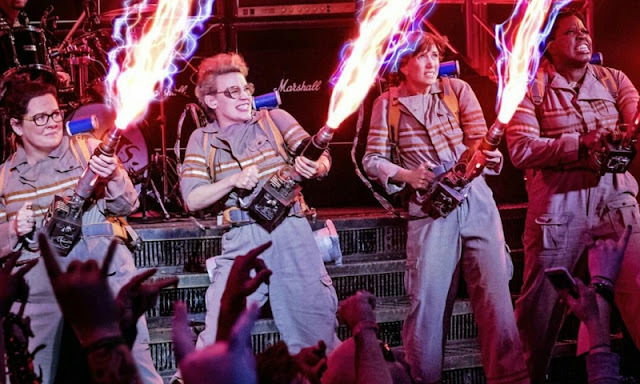 While the ladies bring a fresh energy to the movie, the story doesn't veer far from the original and the inclusion of just about everyone from the original film seemed more than a little forced. For me, seeing these people in insignificant roles that were created just to get them on camera actually did more to pull me out of the story and brought up immediate comparisons to the original which probably wouldn't have been there otherwise. Back on the plus side, Kate McKinnon is fantastic in her role as Jillian Holltzman, a young woman who is obsessed with technology and absolutely loves making scientific discoveries. Her character's enthusiasm, which at times borders on lust, provides a lot of the comedy, heart, and action that we see from the primary cast. 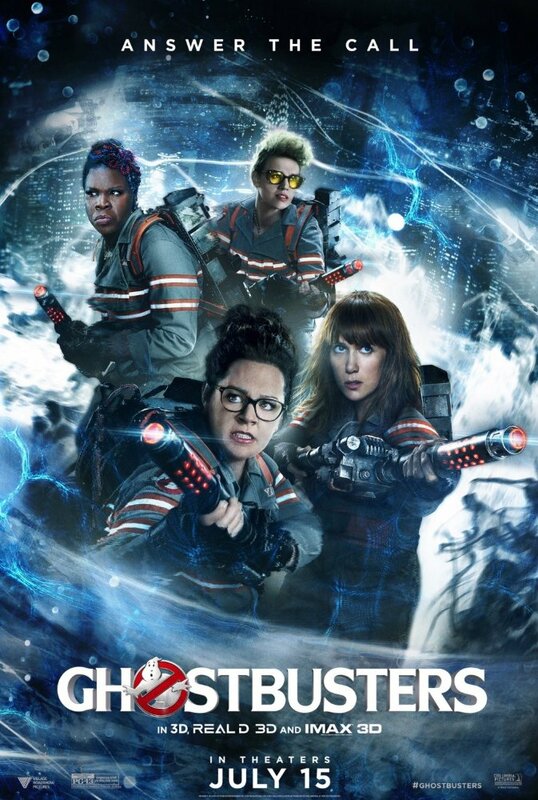 Ghostbusters is a good movie. Is it a great movie? That will depend on who you ask. For me, I thought it was a fun popcorn movie that had lots of laughs and some pretty cool sci-fi action but didn't give me any reason to want to see it again or look forward to another installment. Sure, there will be one and yes I will watch it, but that's just what I do. One of the more inspiring aspects of the movie is that it provides four positive role models for young females around the world. 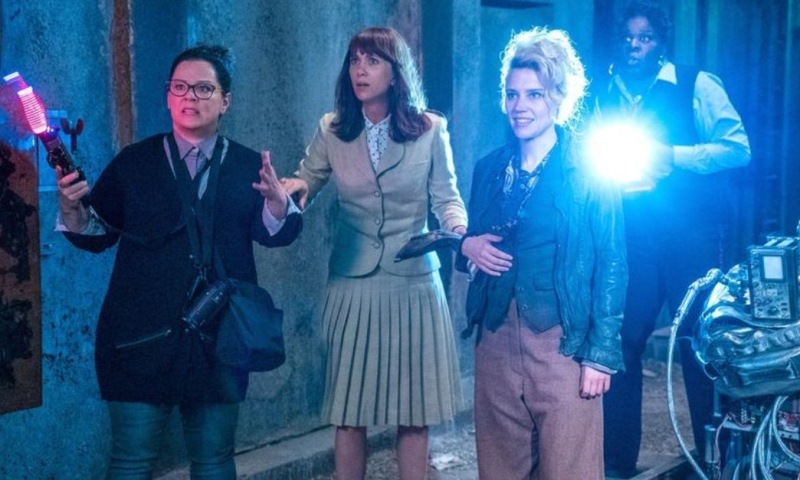 Girls who may end up looking for a career in science or math because of these Ghostbusters so I absolutely applaud the creators for giving such a significant gift to the world. I did see the movie in 3D and I have to say this is flat out the best conversion I have ever seen and actually pushes forward the technology by leaps and bounds. Highly recommended.